The Sling TV Cloud DVR is now on almost all devices compatible with the service. 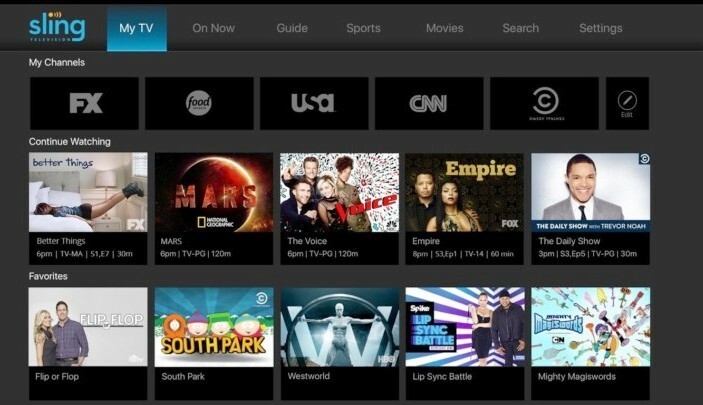 Sling TV presented its Cloud DVR function in beta form for the first time in 2016. Since then, the function has become an essential tool, not only for Sling TV but also for live TV broadcasting services in general. 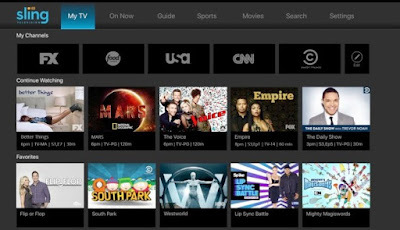 While some competitors such as DirecTV Now have yet to launch a similar feature, Sling TV has launched Cloud DVR on several new platforms, which means that it is now available on virtually any device compatible with the service. On Tuesday, May 1, the company announced in a blog post that the Cloud DVR feature is now available in smart TVs from LG smart TVs, Samsung and 2016 smart TV models from Samsung, Xbox One, Chromecast and the Google Chrome browser. This leaves Comcast's X1 and 2018 smart TV models without DVR functionality, but it's hard to imagine that the latter will not receive DVR support in the cloud in the near future. Of course, DVR functionality is not compatible with certain channels, but you will find that this is the case no matter what device or broadcast service you are using. One of the most practical features of Sling TV's Cloud DVR, especially when compared to traditional DVRs of yesteryear, is that you do not have to worry about conflicts. Schedule as many programs as you want, and Sling TV takes care of you behind the scenes, as long as your account has room to store them. Once you reach the 50-hour limit, the oldest recordings will be deleted, but you can use the Protect option in the Manage DVR section to keep your favourites on your DVR. Providing Cloud DVR support to all its compatible platforms is not the only thing Sling TV is working on. In March, the company presented an updated user interface on the Roku devices, facilitating navigation and offering the possibility to modify your subscription from the comfort of your sofa. At the moment, the new user interface is only used on Roku devices, but the company has said it will reach other devices in the future. Sling TV's TV Cloud is available as a $5 add-on per month for your subscription. For more information on all Sling TV compatible devices, see the support section of the service's website. Meanwhile, to see in detail everything the service has to offer, take a look at our Sling TV summary.